Beach Music has some of the most dramatic views for a Westside house, ever! From the top deck you have 180 degrees worth of views from north to south of the Atlantic Ocean, AND Soundside views looking to the west for sunsets! 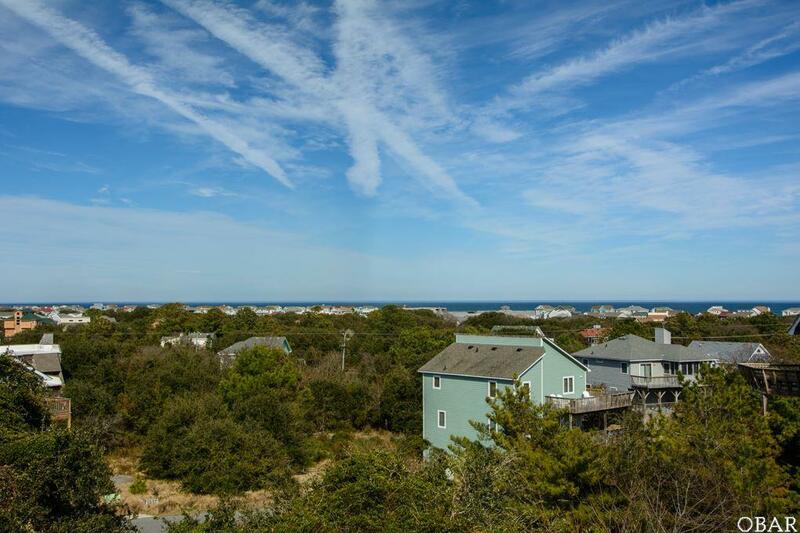 This beach house is in FANTASTIC condition because the owners have meticulously cared for and maintained it since purchased. 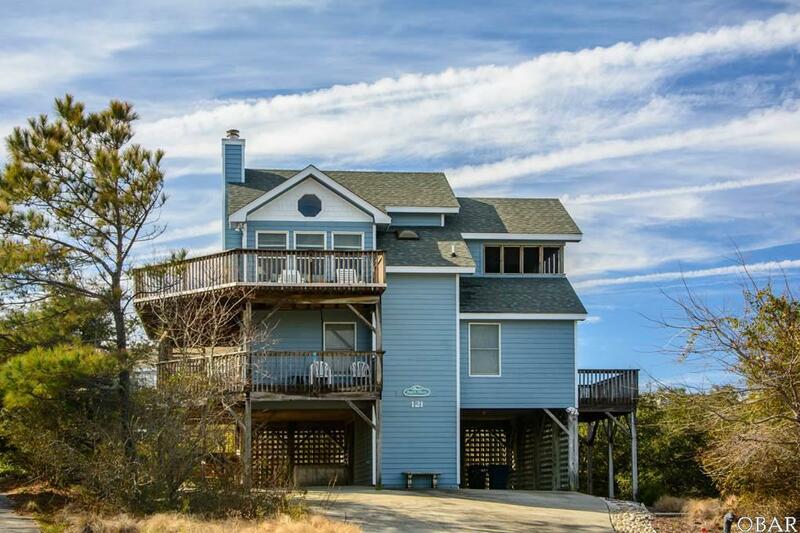 The reverse floor plan offers open living on the top level with the kitchen, dining and living room, bath and plenty of open decks with incredible views and screened in porch. The mid-level offers a master bedroom in addition to a hall bathroom and 3 more bedrooms all with deck access. The ground floor area offers a dry entry, outside shower and grilling area with picnic table seating. The large oversized corner lot boasts a volley ball court and there should be room to add a pool if desired. Upgrades over the past years include two new HVAC units in 2017, tankless hot water heater in 2017, exterior painting in 2017, new dishwasher in 2018, refrigerator and oven replaced in 2014, septic pumped out in 2016 and newer carpet and flooring. 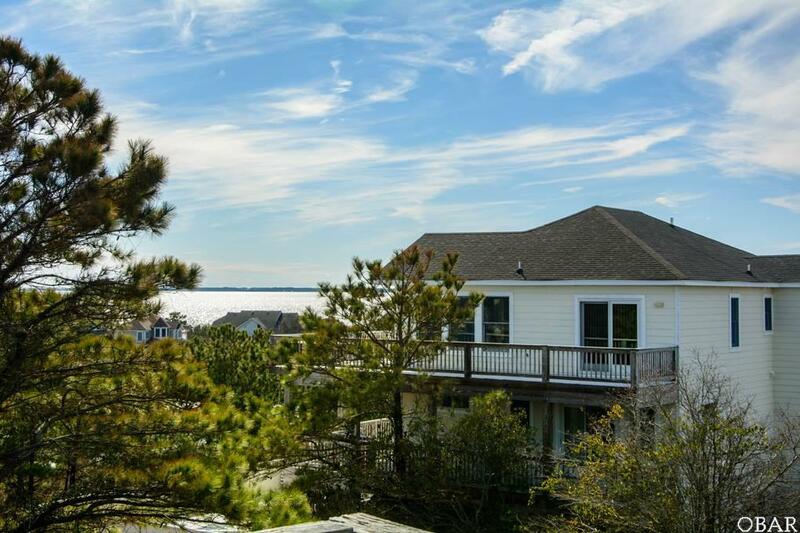 The Tuckahoe community offers a wonderful swimming pool and tennis court just a few steps away, private beach parking and a fantastic soundside dock and pier with private parking. Located an easy walk or bike ride into Duck and all of the wonderful shops and restaurants Duck provides. 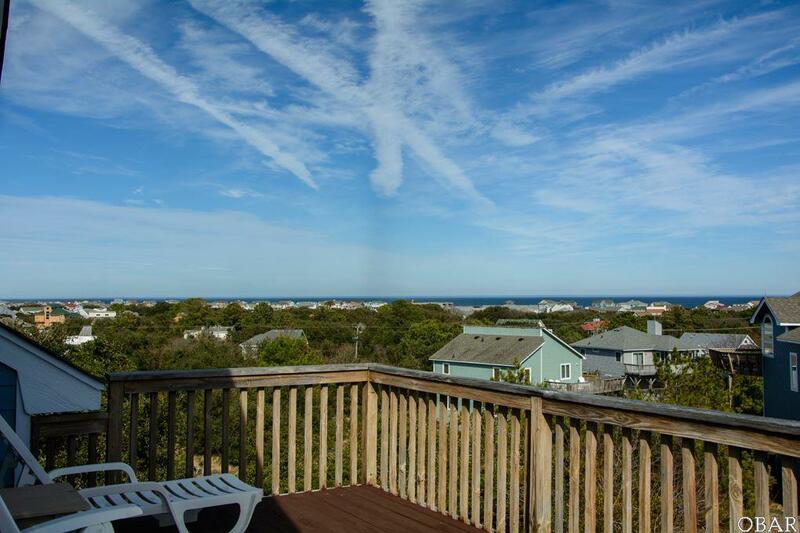 This is just a great little beach house, sold fully furnished and ready to go! X-Flood zone on this high and dry property!